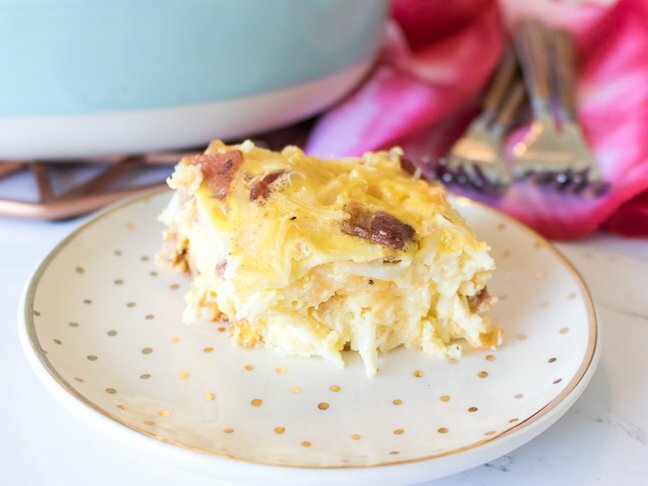 Every time my family gets together for brunch, someone brings a dish like this delicious bacon, potato, and egg breakfast casserole (with cheese, of course)! After always waiting for a family occasion to eat a dish that I enjoyed so much, I realized just how easy it would be to make it myself. I’m not sure what the best part is…the 5 minutes of prep work or the fact that I can store it in the fridge and eat it all week long. Simply throw the ingredients in a casserole dish, bake for one hour, and enjoy! If there’s leftovers, cover the dish tightly with foil or place in a food storage container and store in the refrigerator for up to four days. Reheat in the microwave for a quick breakfast the rest of the week! 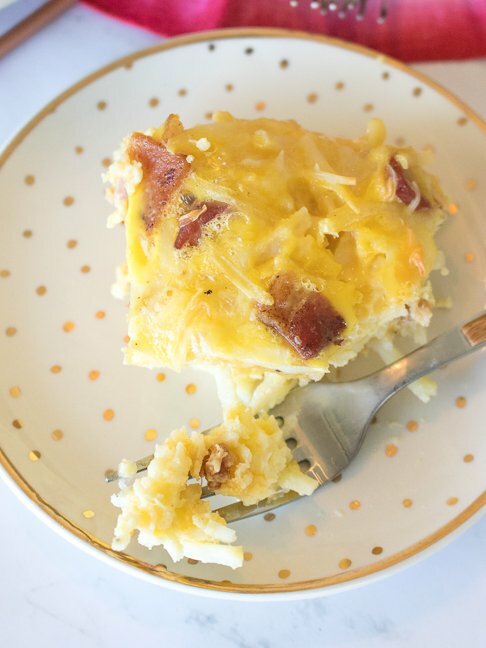 Want to make your own bacon, potato, and egg casserole? Follow my recipe below! Step 1: Preheat the oven to 350 degrees F and lightly spray a 9 x 13 casserole dish with cooking spray. Step 2: Toss the bacon, frozen hash browns, and cheese in the prepared dish and mix lightly to distribute ingredients evenly. Step 3: In a large mixing bowl or glass measuring cup, whisk the eggs, milk, and salt until smooth. 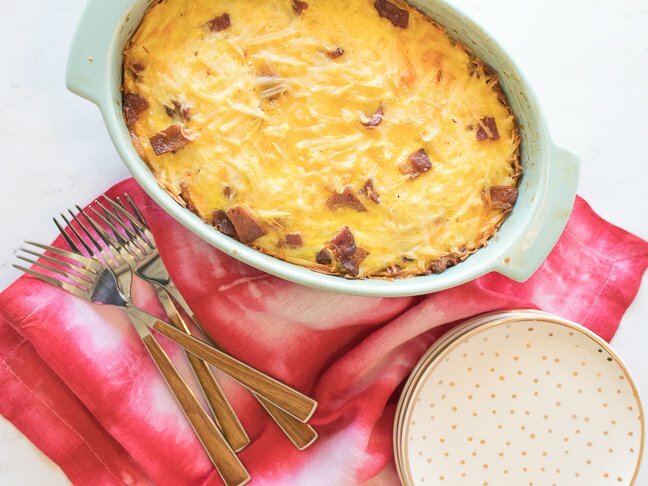 Pour evenly over the bacon, potato, and cheese mixture and use a spoon to distribute everything as needed, patting the ingredients down to condense them. Step 4: Bake for about 1 hour until the edges are lightly brown and the middle does not jiggle. Step 5: Cut and serve with a spatula or large spoon.